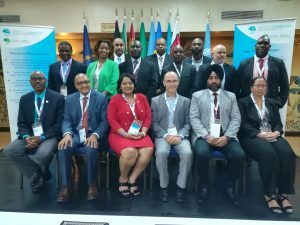 Maritime Technology Cooperation Centre Caribbean First Eastern Sub-Regional Workshop was held in Antigua and Barbuda from March 13-14, 2018. 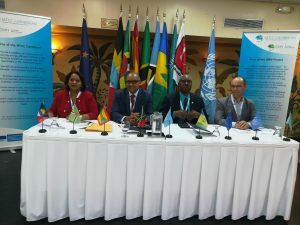 OECS countries were represented in this workshop. 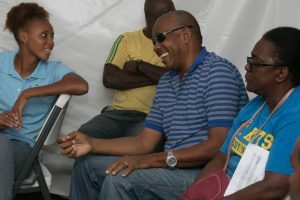 St. Kitts and Nevis was represented by Mr. Nigel Williams – Department of Maritime Affairs and Ms. Tricia Greaux – Department of Marine Resources. 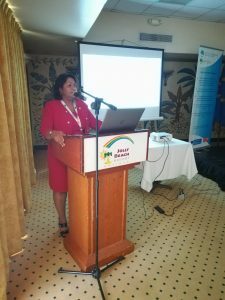 Opening remarks were given by Ms. Vivian Rambarath-Parasram, Director and Head Maritime Technology Cooperation Centre (MTCC) Caribbean who expressed her gratitude for the participation of the countries. 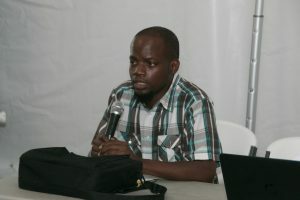 “We are the first generation to feel the impact of climate change and probably the last that can do something about it…Climate change is the single biggest thing that humans have ever done on this planet, and the one thing that needs to be bigger than that, is our movement to stop it!” Mr. Jose Javier Leegarra- Delegation of the European Union to Barbados, the Eastern Caribbean States, OECS and CARICOM/CARIFORUM. Mr. Colin Young- Regional Maritime Advisor, International Maritime Organization (IMO) indicated “Today we live in a world in which new technology seems poised to have a transforming impact on all our lives. Shipping is no exception. 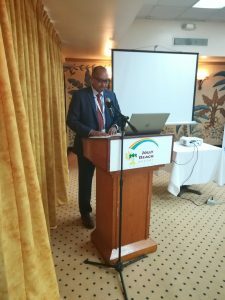 Technology holds the key to a safer and more sustainable future for shipping.” Presentations included; an overview of the Caribbean MOU on Port State Control, MTCC Caribbean and Climate Change Mitigation, Data verification with the use of full mission engine room simulators, MTCC Caribbean’s data collection process and pilot project challenges and proposed mitigation strategies. 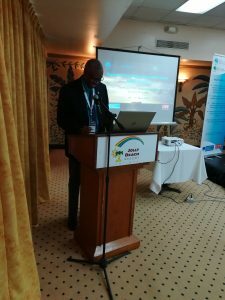 Results were shared from the 1st Regional Workshop in relation to the Eastern sub-region, and discussions about the approaches to reducing greenhouse gas emissions from ships were explored. 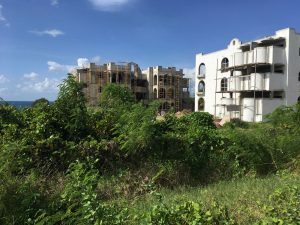 The first Regional Workshop on Recreational Fisheries Data and Statistics hosted at the Bahamas Agricultural Industrial Corporation Nassau, Bahamas from 22-25 June 2017. 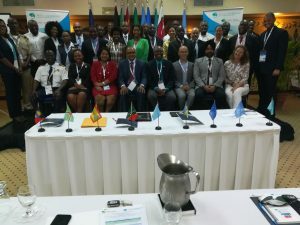 More than 30 regional experts from 12 Caribbean countries attended and Ms Nikkita Browne of the Department of Marine Resources represented St.Kitts and Nevis at this workshop. 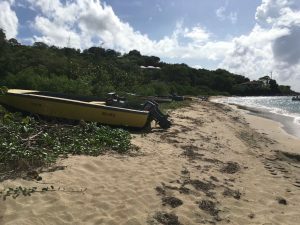 There was a capacity building focus to increase the collection of recreational fisheries data in the region. Such data can help inform sustainable fisheries management in all fishery sectors at national and regional scales. This workshop is the 6th meeting of the joint Western Central Atlantic Fishery Commission (WECAFC), Caribbean Regional Fisheries Mechanism (CRFM), Organization for Fisheries and Aquaculture of Central America (OSPESCA), Caribbean Fisheries Management Council of the USA (CFMC) Working Group on Recreational Fisheries. 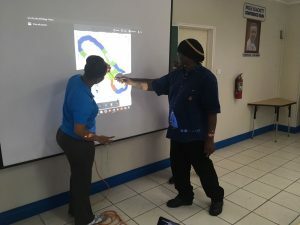 This workshop was supported by the Caribbean Billfish Project, which is a component of the GEF-funded, World Bank implemented, Ocean Partnership for Sustainable Fisheries and Biodiversity Conservation Models for Innovation and Reform (ABNJ) Project, and is being executed by the Secretariat of WECAFC at the Sub-regional Office for the Caribbean of the Food and Agriculture Organization of the United Nations (FAO). 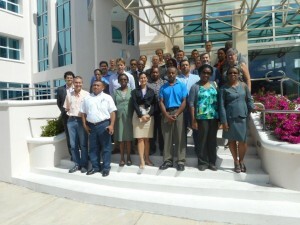 Various organizations have convened in Nassau, Bahamas for the first Regional Workshop on Recreational Fisheries Data and Statistics. 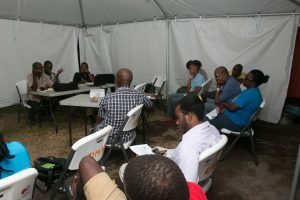 Fisherfolk leaders from the Federation of St.Kitts and Nevis were invited to participate and benefit from capacity building sessions. 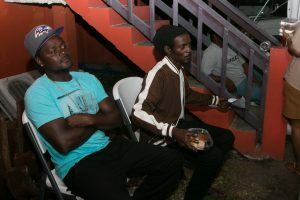 St.Kitts based fishers attended sessions held on February 13-14, 2017; similarly Nevis based fishers’ sessions were conducted on February 15-16, 2017. 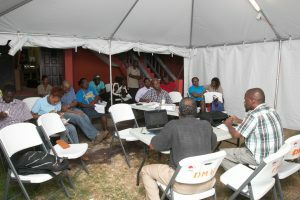 These workshops were facilitated by Mitchell Lay, Coordinator of Caribbean Network Fisherfolk Organization (CNFO). 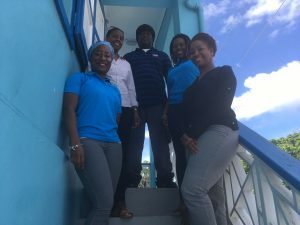 The CNFO works in conjunction with The Nature Conservancy (TNC) and the Caribbean Regional Fisheries Mechanism (CRFM) Secretariat. 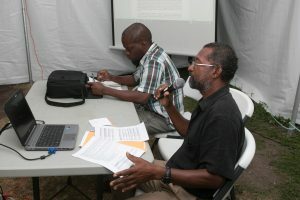 The Department of Marine Resources hosted the capacity building trainings. 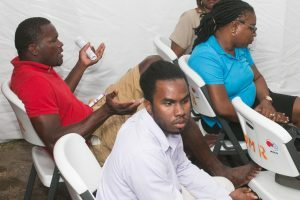 The Director, Marc Williams gave Opening Remarks and members of DMR staff gave presentations that included Local Legislation by Wilmot Alleyne, SKN Marine Management Area by Tricia Greaux and Food Safety in Fisheries by Nikkita Browne. 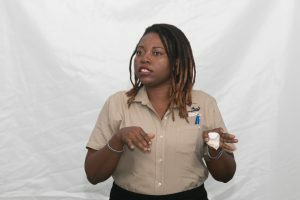 opportunities for fishers to discuss and clarify implications of fisheries management laws on their activities. 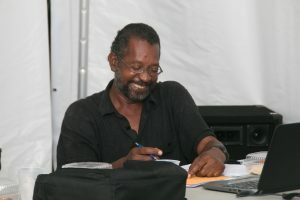 leadership skills of leading fishers in St. Kitts and Nevis. 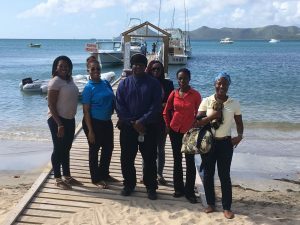 The CRFM Secretariat was the lead agency, fulfilling a mandate for fishers from St. Kitts and Nevis to be exposed to knowledge and skills which will promote their development and enhance their collective participation in sustainable fisheries governance. 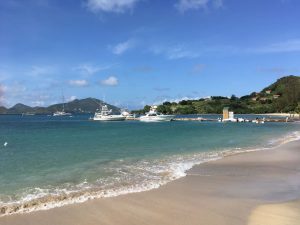 The Government of St. Kitts and Nevis passed new legislation, Fisheries, Aquaculture and Marine Resources Act 2016, which will impact the fisheries sector and guide its’ management. 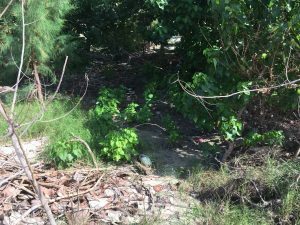 This activity will provide fishers with the opportunity to learn of these new measures and to discuss the implications, while identifying opportunities to participate in the governance and management of the sector. 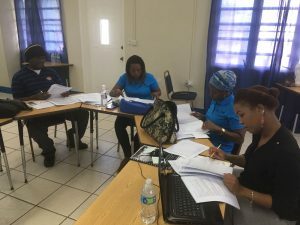 The Subregional Office of the Food and Agriculture Organization of the United Nations (FAO) and the Secretariat of the Western Central Atlantic Fishery Commission (WECAFC) hosted the WECAFC-FIRMS data workshop in Christ Church, Barbados from 19 to 21 January 2016. 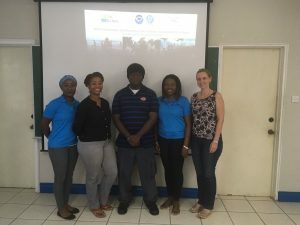 The main goal of this regional workshop, through the WECAFC-FIRMS partnership, is to develop the foundations of a regional data base in support of priority fishery management plans, with initial focus on Flyingfish, Queen Conch and Spiny Lobster. 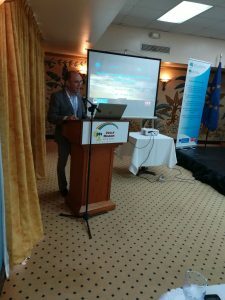 The workshop was organized as the cornerstone of the joint FAO – European Union DG Mare’s project, “Strengthening national data collection and regional data sharing through FIRMS to support priority regional fishery management plans in the WECAFC area”. 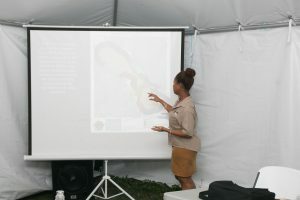 GIS and Oceanography Officer, Ms Nikkita Browne, represented the St. Kitts-Nevis Department of Marine Resources.